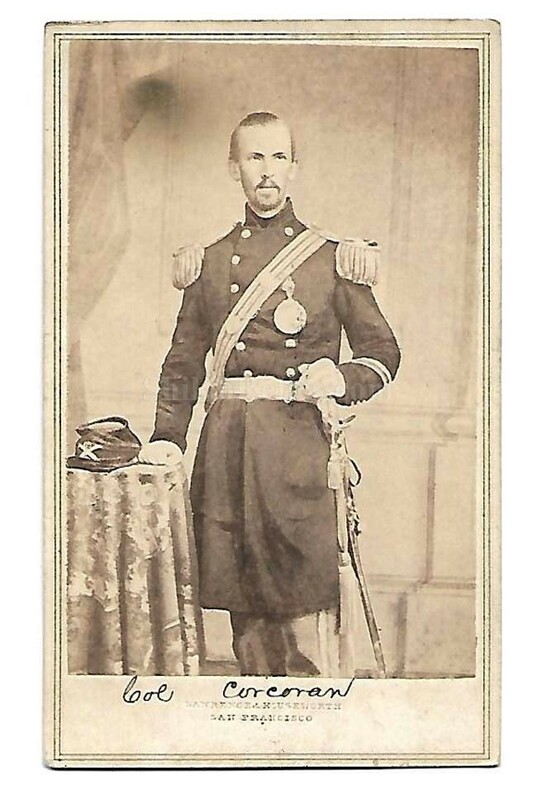 This is a great looking original Civil War era CDV image of Union General Michael Corcoran (1827-1863). The face of the card is a full standing view image of the General in his ornate Colonel uniform with the ink inscription identification down below. It also has the retailer marking of the San Francisco shop. Corcoran was born in Ireland on September 21st 1827 and never forgot his Irish roots. 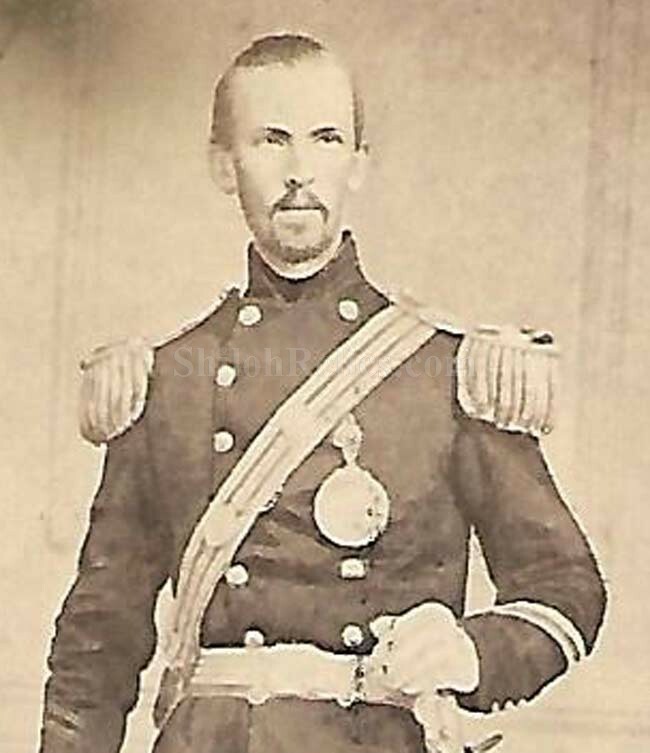 He came to the U.S. in 1849 and in 1859 he was appointed Colonel of the 69th New York Militia. He became well known because in 1860 he refused to march with his Irish based regiment in New York City for the visiting English Prince of Wales. When the War broke out, he was instrumental in getting other Irishmen to fight for the Union. He was wounded at captured int he battle of 1st Manassas and taken prisoner. When he was exchanged he went back to service and was promoted to the rank of Brigadier General. He raised four regiments that were known as the Irish Legion and sometimes referred to as the Corcoran Legion. In 1863 he was camped near Fairfax Court House in Virginia when he was thrown from his horse. He would die from his wounds on December 22nd 1863. The overall size of a CDV image is approximately 2.5 inches by 4 inches in size. 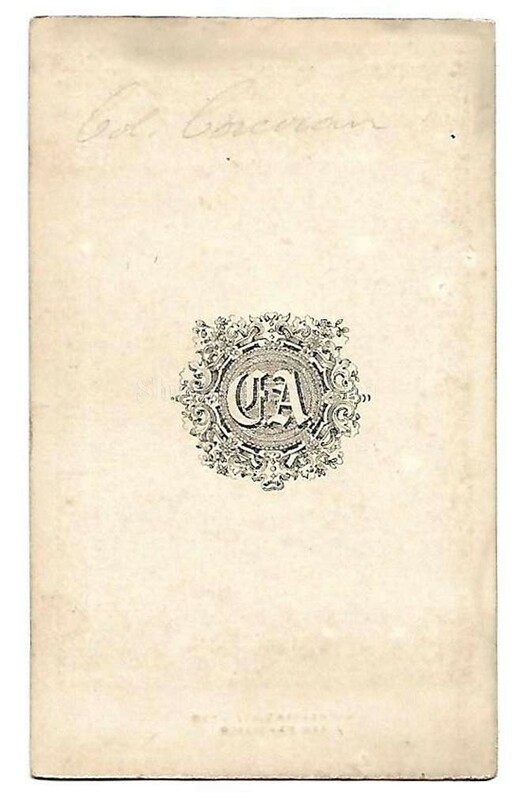 On the back of the card it has the photographer mark of the New York firm of Anthony. It is a nice touch on an already wonderful image. 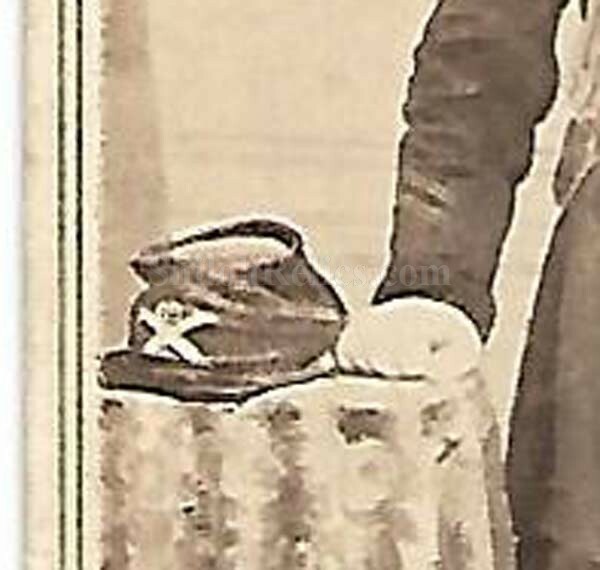 This is a great looking image of one of the famous Union Generals.